If you don’t miss any school years, you are usually sixteen in the Philippines when you graduate from high school. I was eighteen because I had missed the third grade when we evacuated to Homonhon, and the seventh grade when I dropped out. But then suddenly it was over. I had a short conversation with my mother about going to college but there was no money to go to college in Tacloban and I didn’t even know about scholarships. I talked to my mom about enrolling in what we call vocational college in Lawaan. Even then, we didn’t have 190 pesos, which I thought had to be paid in one “give” in advance, to get me enrolled. It was only then, after I had finished high school and college was not a possibility that I began to think seriously about going to Manila. It was scary—but inviting at the same time. I began talking to my friends, trying to see if anyone would go with me if I tried to do it. Marita was the first one but she couldn’t go because her aunt who she lived with, wouldn’t let her. And then I talked to Leizel, my best friend; her mom wouldn’t let her go because she was still in high school, a year behind me. So I talked to Irma, who was older, and she and I decided to go. But I didn’t have money; no one in our family did. I had an uncle, Pablito, who always seemed to have some money. So I gathered up my courage and went to him and asked if he would loan me enough money to get to Manila. He asked me questions. Why was I going, what would I do there? I told him I wanted to find a job that would make enough money so I could send some home to help the family. He asked what kind of job. I told him I thought I could be a clerk in a store, or work in a market. I heard that you could make 50 pesos a day which added up to 1200 or so a month—and that seemed like an enormous amount of money to me at the time. Surely I could send 500 of that home, and 500 pesos a month was more money then we ever had. Eventually, he gave me the money, and when he did he said that he only did it because I was the one who actually asked for it personally. He said he could see my situation as a young person in Guinob-an not going anywhere. So he let me borrow 600 pesos which was just enough to pay for the trip and leave me with 100 pesos or so when I arrived. A few days later Irma and I left. My mom was worried but didn’t try to stop me. I remember saying goodbye. I think we both cried a little, but not a lot. I think the sadness was mixed with some hope that I would be able to help improve the situation of the family. I was, after all, the first high school graduate. There was never any doubt that if I could make my way to Manila and get a job, that some of the money would be for the family. That is always the way it is in our culture; it was not even something we had to talk about. It was just understood. Irma and I set off to Lawaan on foot, walking in the early evening. We each had a small parcel of clothes with us and that was about it. In Lawaan we got a ferry to Tacloban, then from there we got on the biggest ship they had traveling from Tacloban to Manila, the Dona Paz, which would become famous years later when it sank and took four hundred people down with it. We weren’t thinking about it sinking. I remember the boat was really big and we had our space on the boat. I felt a little dizzy from the waves. I think I slept the whole time, more than 24 hours. I didn’t eat. There were no major weather problems. All I knew is that it seemed like we were on the boat forever. And then we reached Manila. I had thought Tacloban was big—but it was tiny compared to Manila. Everything in Manila was huge. The port area was gigantic. I was afraid we would get lost and swallowed up by the city. Irma had a friend living in Cambridge, a squatter area—one of the many squatter areas which were the starting point for people like us from the provinces. I was completely lost in the traffic, the jeepneys, the trucks, the noise, the sounds and smells—it was just overwhelming. I was lucky Irma was with me or I don’t know what would have happened. With Irma guiding, we took a series of jeepneys and eventually wound up at Cambridge, where she took me to the home of Igak, a brother of Marissa, my cousin. Igak’s place was one among thousands of shanties in the squatter area which looked horrible from the outside, but weren’t quite so horrible once you were inside. There were small streets, and stairs going up to the shanties that were elevated and had wooden floors and tin roofs, and even had electricity. Igak’s place was one room, big enough for a small kitchen area with a gas stove, a table and a bed, and empty space where we could sleep on blankets on the floor. He lived there with his wife and two kids. It wasn’t dirty. Igak kept it clean, like a normal house. There was no bathroom; to use the bathroom or take a shower you had to go down the stairs and down the street a little, and pay 50 centavos to use the bathroom and 1 peso to shower. I was grateful to have a place to stay, and Igak and others whom I met while I was there were friendly, helpful, and working hard for their families. I remember that first morning when I woke up, the paid shower was busy and I saw so many kids going off to school in their school uniforms, freshly scrubbed, their wet hair glistening; and I saw parents going off to work, some of the men wearing a barong tagalog, our native formal wear, carrying a briefcase, headed from a slum to an office job. In spite of it being a squatter area, there was an air of optimism and determination, like people were trying to make their lives better, if not for themselves today, then for their children tomorrow. It made me feel hopeful to see people so committed to the future of their families. It inspired me and made me want to work hard in the same way. We told Igak that what we were trying to do was to get to Caloocan, because my brother Rommel was supposed to be there. We weren’t completely sure about that, or about how to find him in Caloocan, but supposedly he was working at a big sari-sari store owned by Beth Abayan, who was one of the Abayans from Lawaan. 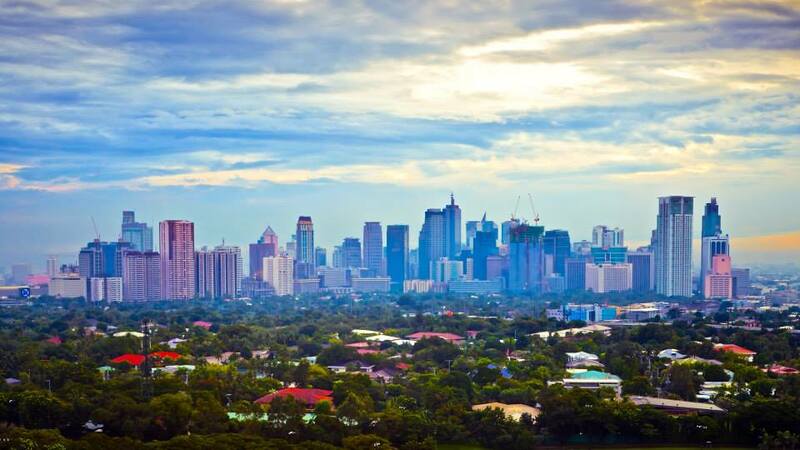 Manila is so big that it’s not just the city of Manila itself; it’s “Metro Manila” consisting of Manila and adjoining cities all bunched together: Makati, Ermita, Mandaluyong, Paranaque, Cubao, Quezon City. There are so many and one of these was Caloocan. After a few days, with Igak’s help, we were able to get to Caloocan and find Rommel, who was surprised to see me but said he would see if we could get a job at Beth’s store, which was big and included a bakery. He took us to Beth and right away she said yes. Not only was it a job, it was a place to live. Beth had quarters, rooms that have beds, single beds, folding beds. So we right away had a job and a place. We could be “bedspacers” downstairs in the store, and the family lived upstairs. It was perfect and I was happy. On that same day, I had to go back to Igak’s place in Cambridge to get our stuff, and Rommel had one of his coworkers, Buddy, go with me so I wouldn’t get lost. Irma stayed in Caloocan and organized our beds there. We rode a regular bus going over to Cambridge, but on the way back, Buddy wanted to ride on the air-conditioned bus, which is more expensive. I had never experienced air-conditioning. We got on the “aircon” bus and it made me so dizzy I threw up. I had never felt air conditioning before and I didn’t like it. I was shivering and the smell bothered me. It was weird, and cold, and I made up my mind I wasn’t going to ever get in an air-conditioned bus again. No way, it was almost like torture for me. Beth actually had two stores. And right away my education came in handy because Beth made me the main caretaker of one of the stores.